Jaipur was the last stop for my Rajasthan trip. Extremely bored by Jaipur Lit Fest and the superficial crowd present there, I found myself moving far away from the venue that led me towards Amer Fort. 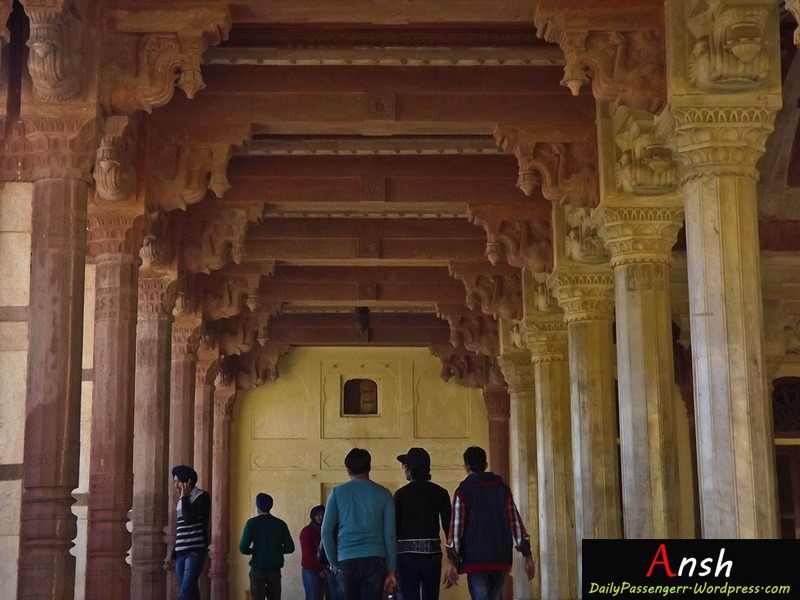 Rajasthan turns people into admires of history and antiquity. With every visit to one of these mighty structures I end up craving for more. The sounds of ghunghroos and marching of soldiers from the past started ringing in my head. My mind started going back in the glorious Rajputana days when huge Cannons used to guard overlooking the city and ready to fall the wrath on invaders. Then my feet took me to Amer Fort. One can see the fort from a distance as they arrive in Amber. Crossing a number of shops selling onion and dal kachoris with tea to relish upon you slowly arrive in the premises of the fort. After climbing a number of stairs your path finally converges with the road that Elephants with their asses jiggling as they walk. Good things come slowly and for them who wait and walk patiently. Meeting, speaking to a number of travelers in way I finally reached the entrance gates of the majestic fort. Sound of a man playing ektara (a music instrument with only one string) welcomed me inside. The guy’s appearance boasted of his Rajasthani Heritage, colourful pagdi, glorious mustache and the dhoti-kurta was enough to prove it. The fort is designed with all the love one can give. 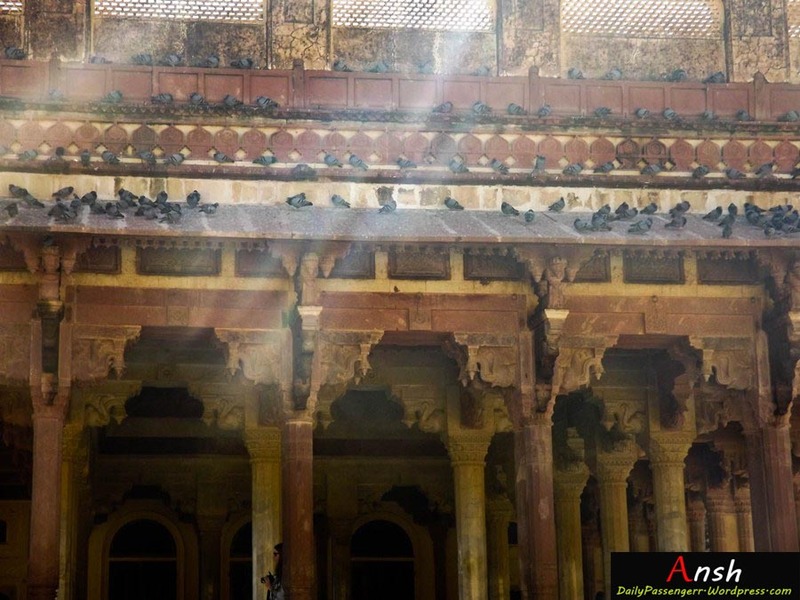 Divided in a number of sections, the premises are filled with jaalis, huge designer gates and arches. 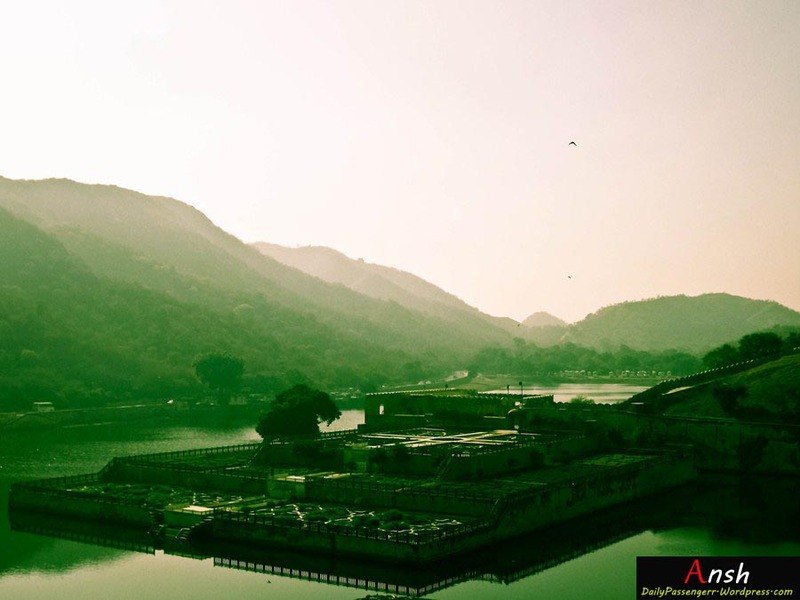 From top of the fort one can enjoy clear scenic views of Kesar Kyari, Moata Lake and Aravalis far away. Last time I was here I almost got beaten up because I tried to eavesdrop on the guide telling an interesting story to a married couple. The married couple thought that I was leering at his wife for which I came up with a very honest but offensive defense. I still eavesdropped the talking guide who told many stories about this fort and the number of people used to live here. A part of this fort is kept reserved for the many queens and kings. Divided in a number of courtyards the forts are divided in a number of sections with unique styles and designs imprinted everywhere. 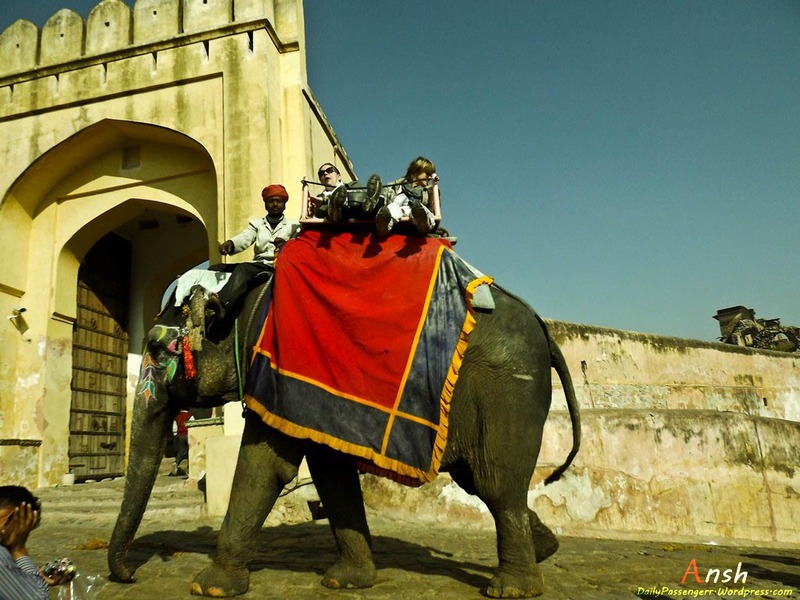 Walking around the fort, experiencing the royalty takes an entire day but trust me it is worth it. 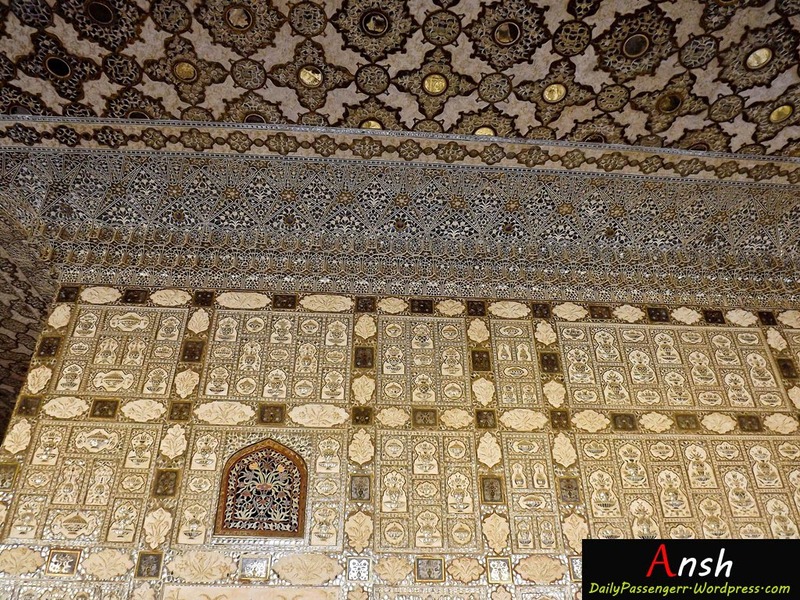 Divided in Diwan-e-Aam and Diwan-e-Khaas has beautiful mosaic work. Opposite to Diwan-e-khaas is Sukh Mandir that has doors made of sandal and ivory. This structure served as an air conditioner. From here you arrive at Sheesh Mahal that is the most beautiful part of this fort. 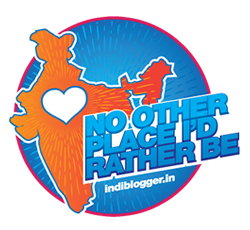 “Pyar kiya toh Darna kya” song of the famous bollywood Classic Film ‘Mughal-E-Azam’ was shot here. 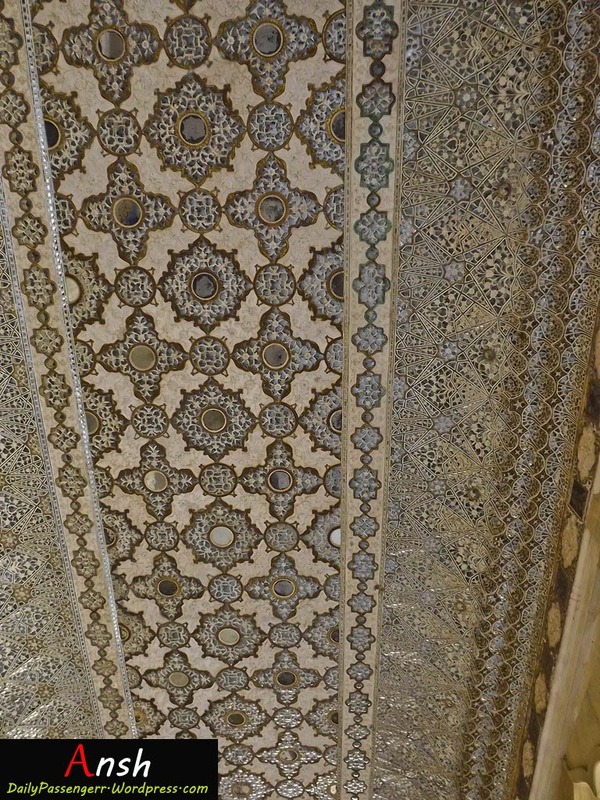 The Walls and ceiling of this hall is carved with beautiful paintings, decorations and flowers made of pure glass. This place was built because the queen was not allowed to sleep in open air but she loved to see the stars shining. After working on a number of ideas the Royal Architects came up with this plan and made a room with shining glasses. After visiting one more fort, creating a few more memories I had to leave. 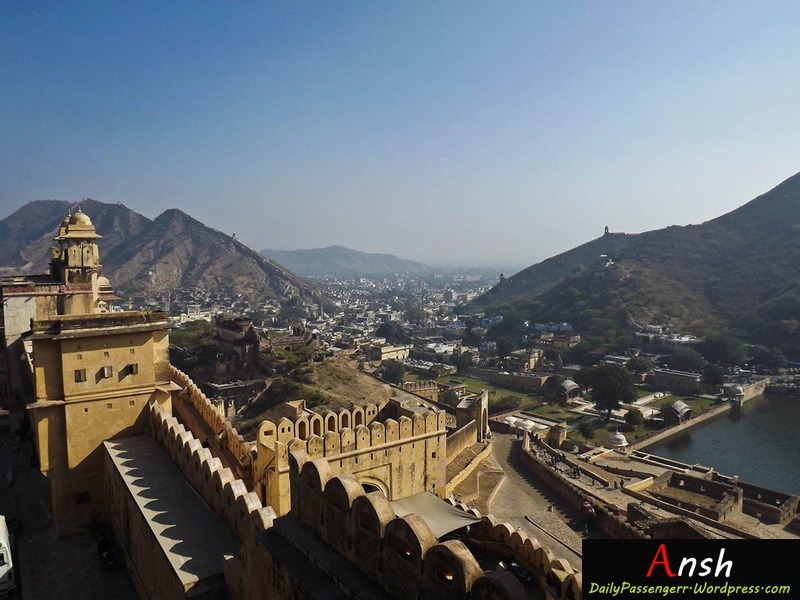 Jaipur has a lot of offer but Amer Fort stands tall amongst everything. Beyond amazing! I’d love to see this place on my future travels.